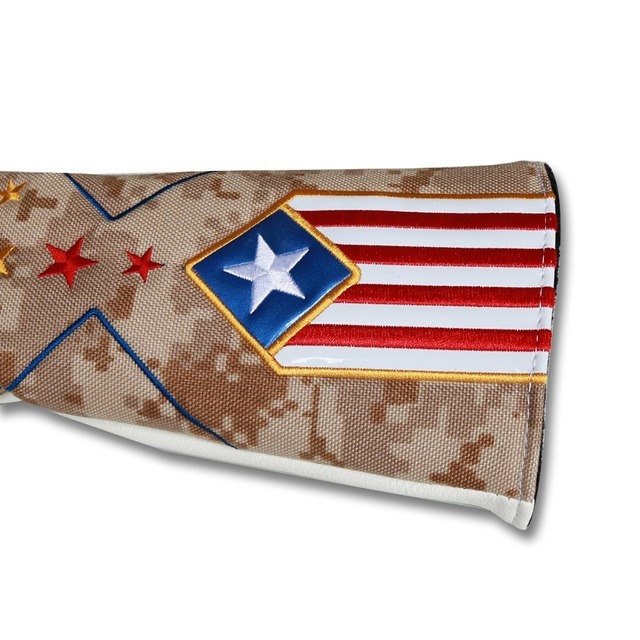 Craftsman USA Flag Camouflage Headcovers made of cordura and Dura-Leather. 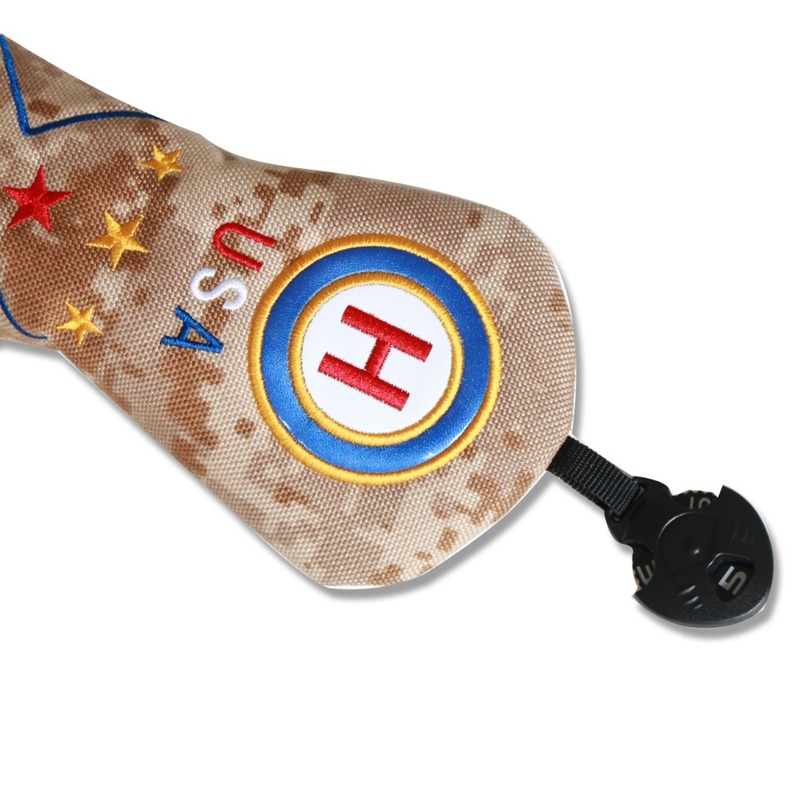 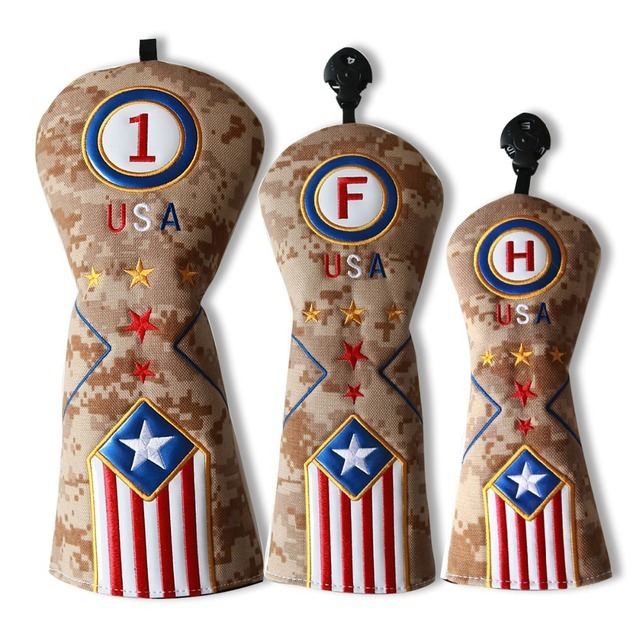 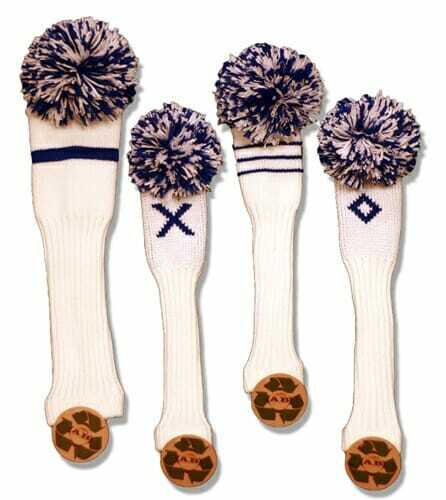 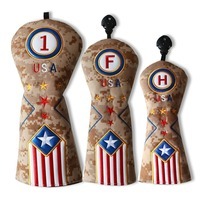 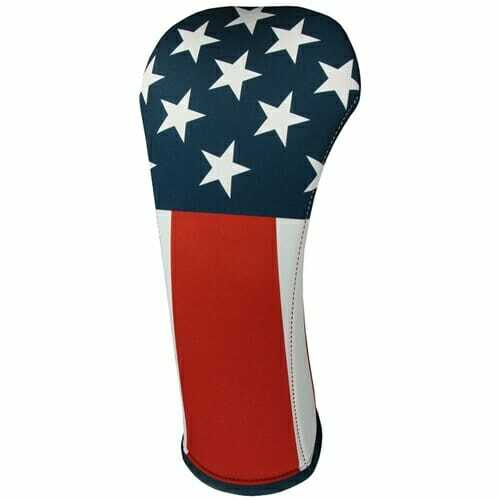 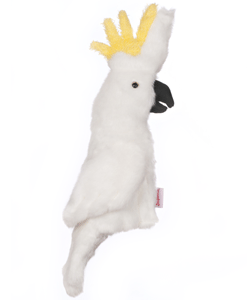 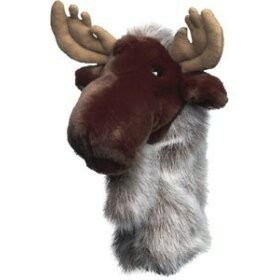 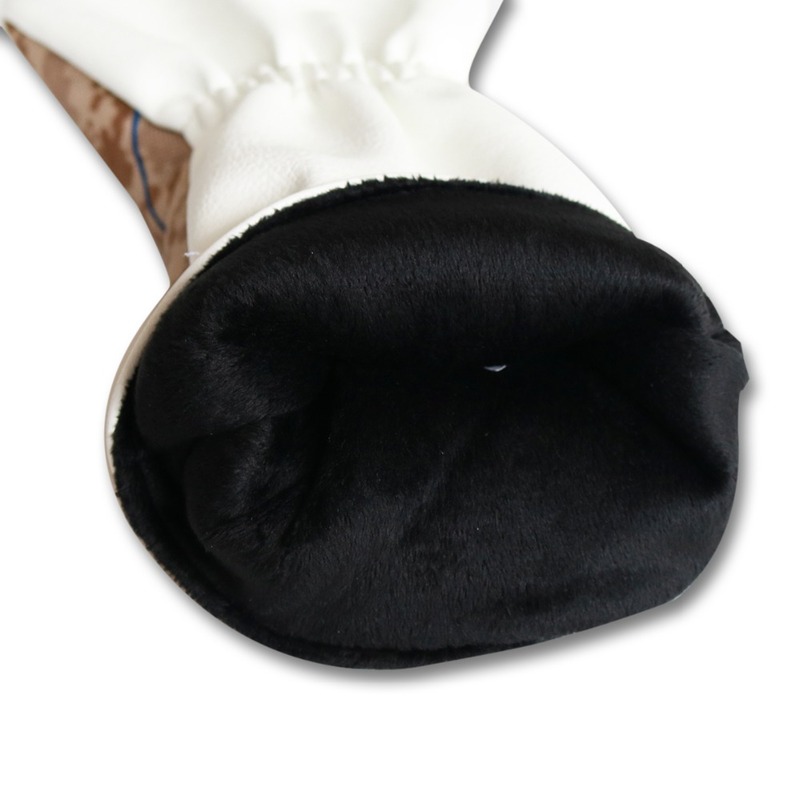 Headcovers have intricate embroidery designs of the numbers, stars, USA and flag. 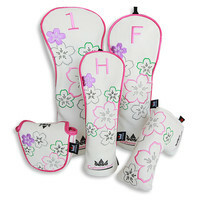 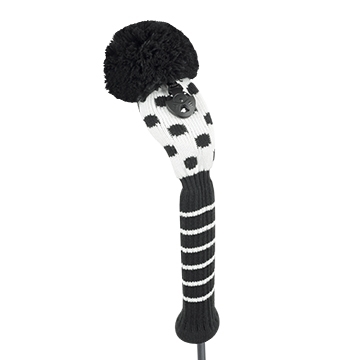 Driver fits clubs up to 460cc and fairway and hybrid headcovers come with adjustable number tags. 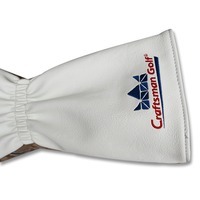 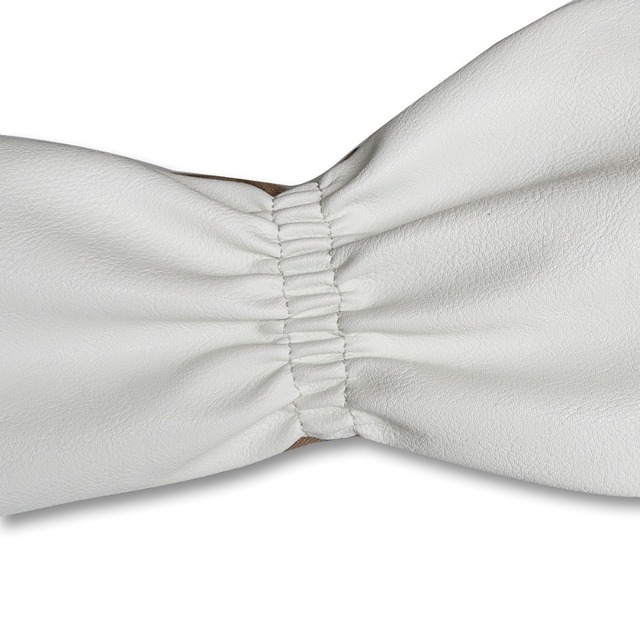 Elastic waistband and soft lining keep your clubs safe and secure.